We walked the Three Choirs Way in ten stages. 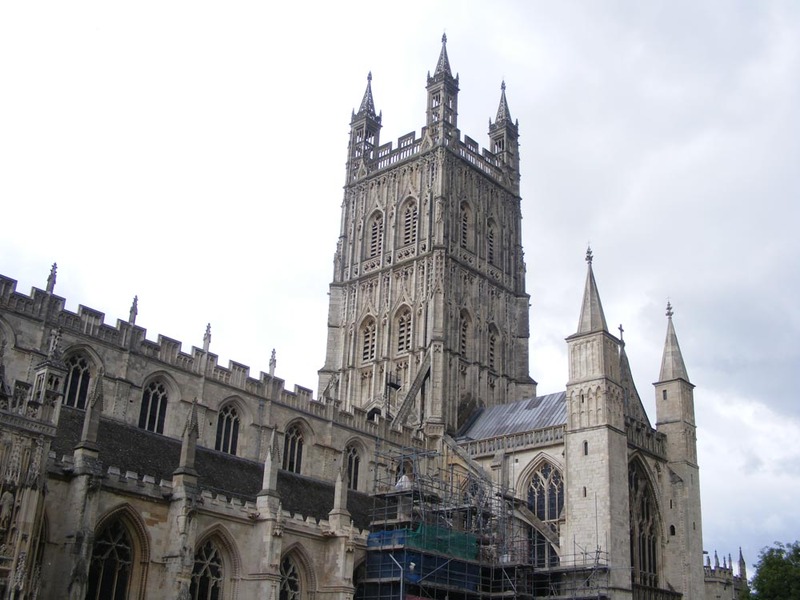 The Three Choirs Way is a 100 mile walk visiting the cathedrals at Worcester, Hereford and Gloucester. 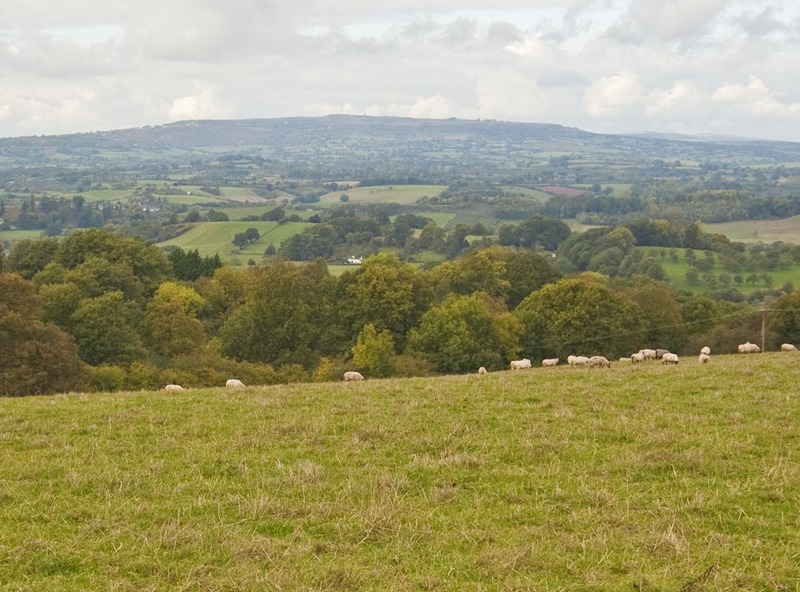 Glorious views were to be had along the way. About 40 members of the society walked each stage. 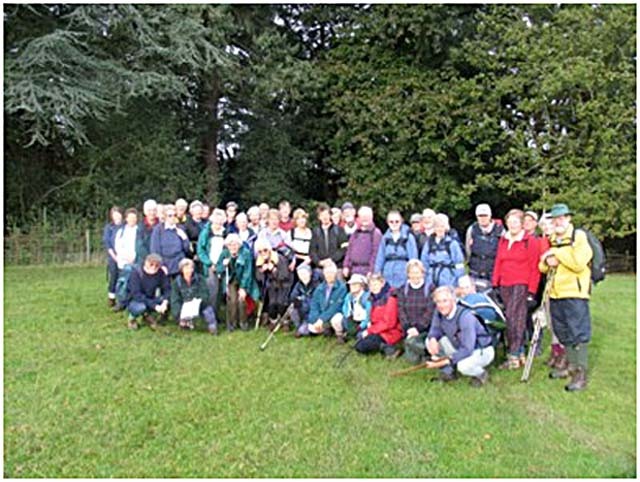 This photo shows walkers on the last stage near Madresfield Court. 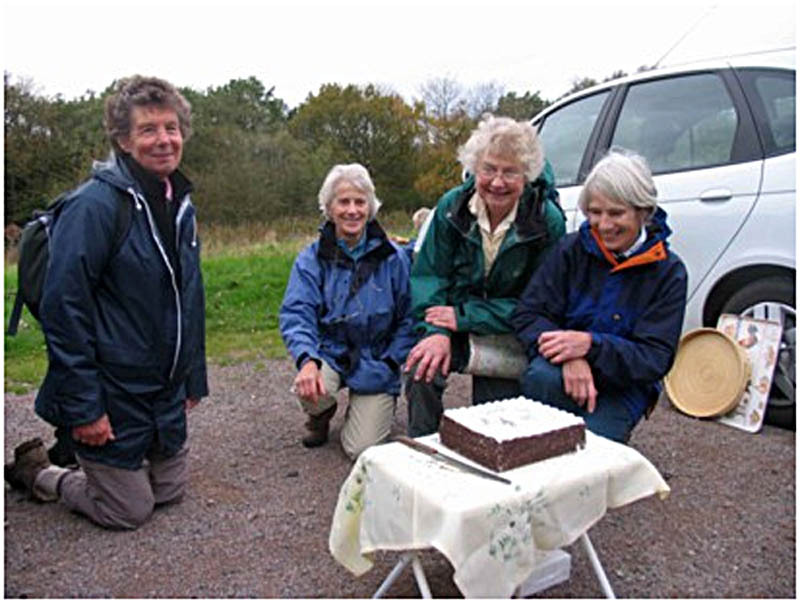 The end of 100 mile walk was celebrated with wine from the Three Choirs vineyard and a cake made by Court Road bakers. The photo shows the leaders with the celebration cake.